Eating pants alert: Las Vegas, as with anything else, does not take dining experiences lightly, neither atmosphere, size or flavour wise. 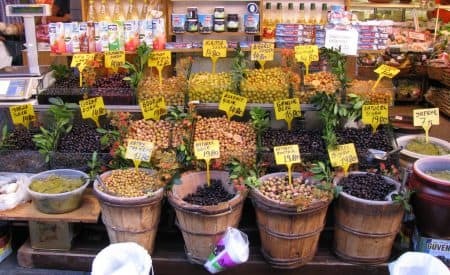 The city of excesses bodes well as far as food is concerned; after all, what would Sin City be without a triumphant homage to the most frequently committed sin – gluttony? It is therefore with loose-fitting clothing and a rather big appetite that I set off to find the Vegas Strip’s best eateries, from underrated burger joint to high-end steakhouses (which the city is famous for). 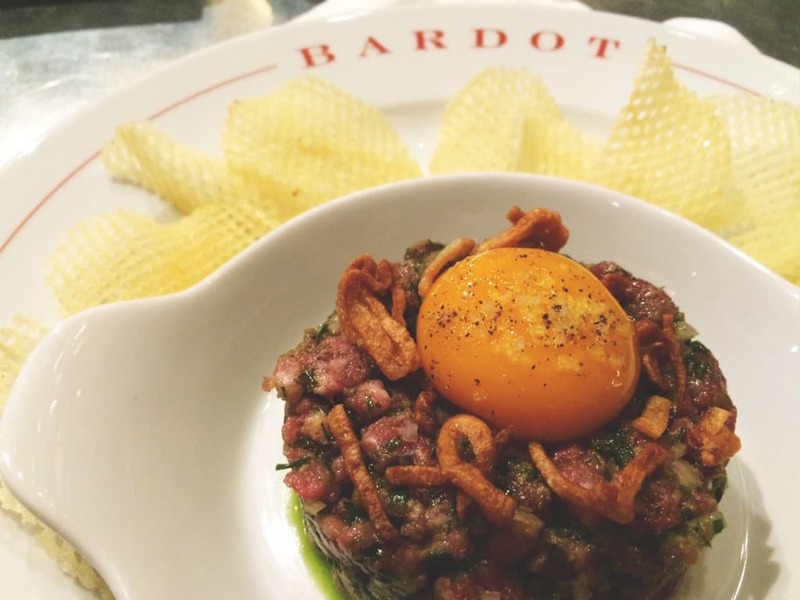 I was excited to try the brand new BARDOT Brasserie at the Aria, where chef Michael Mina gives life to years French cuisine, a tribute to Parisian brasserie fare – which I hadn’t had the chance to enjoy in way too long. The beef tartare was absolutely perfect, and I do not use that word slightly as I like to think of myself as a tartare buff. It was just the right amount of crunchy, salty and tangy. Service was also a highlight, especially since I was sitting at the bar – and yet, I never felt lonely as the waiter introduced me to other clients and chatted with us in between cocktails. Definitely in my top 3 Las Vegas restaurants. On top of my list of “foodies places in Vegas” stands STRIPSTEAK. Several reasons motivated this choice, starting with the complimentary French fries cooked in duck fat, served with the house’s signature dips (make sure to get the aïoli) – the perfect compliment to my delicious Tom Collins. Food is something taken just as seriously as the decor here: a perfectly dozed mixture of classics and modern twists. 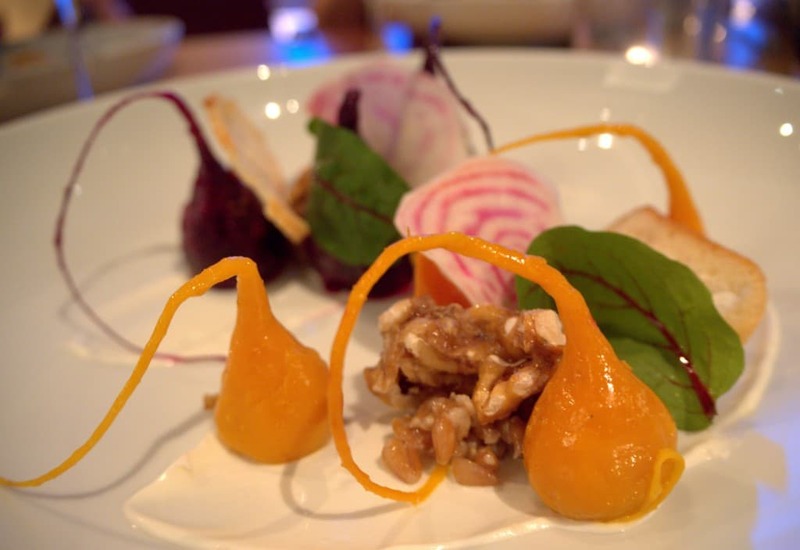 The refreshing trio of beets picture above (farro, pomegranate, goat cheese and candied walnut) offered somewhat subtle flavours, which, in hindsight, was the perfect opener for the night’s main star, the massive 10 oz filet mignon. As if this wasn’t enough, my partners in crime and I each ordered a side dish – that could very well have been a standalone meal if this wasn’t Vegas – and we all agreed that the potato gratin was by far superior. Honestly, few meals have left me feeling this full in my life and it’s amazing that I managed to walk back to my hotel room and not be carried or rolled out the restaurant. You’ve been warned! Bonus points to STRIPSTEAK for having its drink menu on iPads. 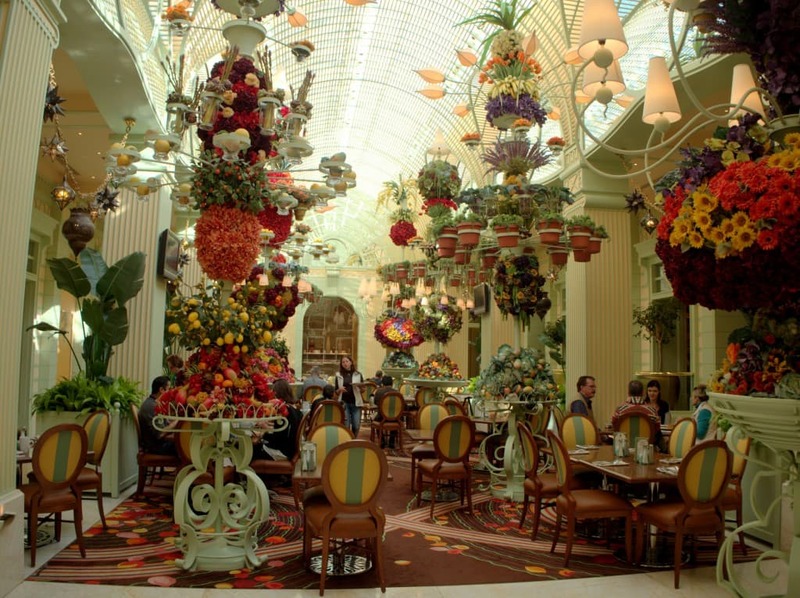 Online critics were unanimous: first-timers to Vegas must have brunch at The Wynn’s sunroom. Seemingly straight out of Marie-Antoinette’s bright and festive mind, the brunch showcases Vegas’ unique ability to transport its visitors to other continents, and in this case, other centuries. The buffet features the usual breakfast fare (with a slightly more upscale twist) as well as a pâtisseries bar and several international cuisine stations with dishes prepared on demand. The restaurant is, much to the city’s image, massive; don’t be fooled by the tiny sunroom and the long queues. I waited roughly 20 minutes to get in and it was worth every second. Anyone who’s ever watched TLC knows Buddy, the mastermind behind the hit reality series Cake Boss. 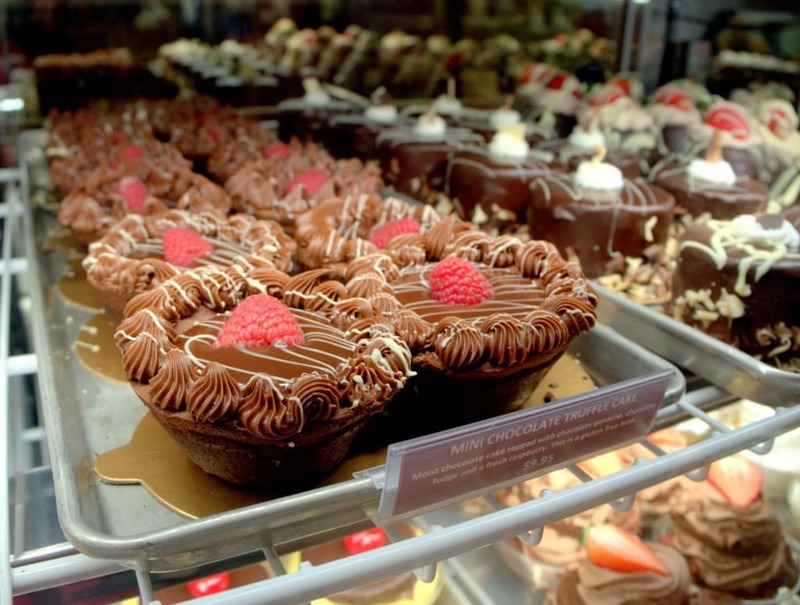 He recently opened a small shop inside the Venetian – where else could this offshoot Italian bakery be? – and if the queues are any indication, it doesn’t seem like Buddy’s popularity is flaring. I had the mini chocolate truffle cake and it was every bit as decadent as it looks, without being excessively rich. A pleasant surprise at what I expected was going to be all hype and all fluff. The first of many indications that it is possible to do Vegas on a budget (or if, like me, you spend most of your budget at STRIPSTEAK)! Social House Sushi offers the perfect solution to late sleepers with their $20 prix fixe lunch which includes three delightful courses – with the option of sake pairing for roughly $10 extra. Deals this good are few and far between in this city – make it count! 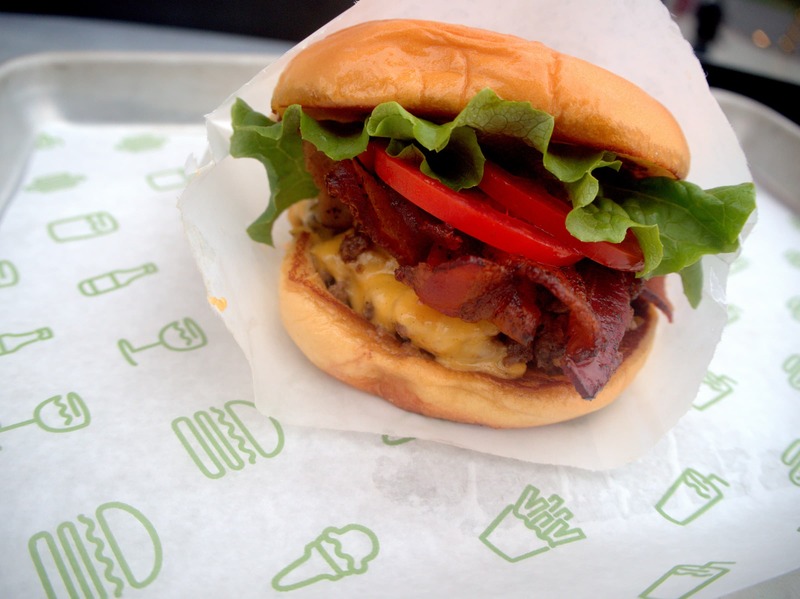 If you live in New York City and have daily access to the Shake Shack, then you are one lucky foodie! I had Shake Shack’s burger for the very first time in Vegas and I wasn’t disappointed; in fact, I couldn’t believe I had paid just $6 for an all-natural, freshly prepared burger that I enjoyed al fresco in Vegas’ splendid weather. 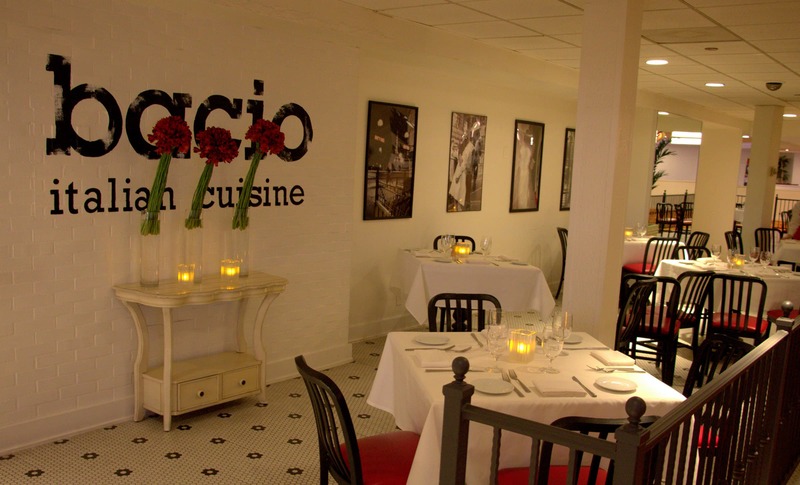 Last but not least is Bacio, an under-the-radar Italian eatery located behind the casino inside the historic Tropicana. Mimicking street-side trattorias of Italy, this restaurant surprised me with its on-point service and its imaginative menu. 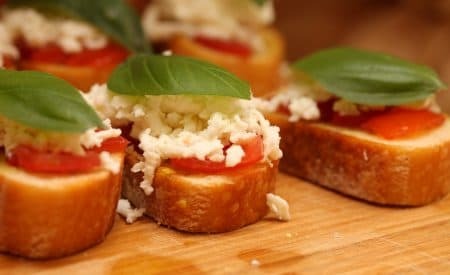 I had the chicken Caprese, which was perfectly executed – along with a glass of Chardonnay, of course. How tragic would my last meal in Las Vegas be without a proper toast? 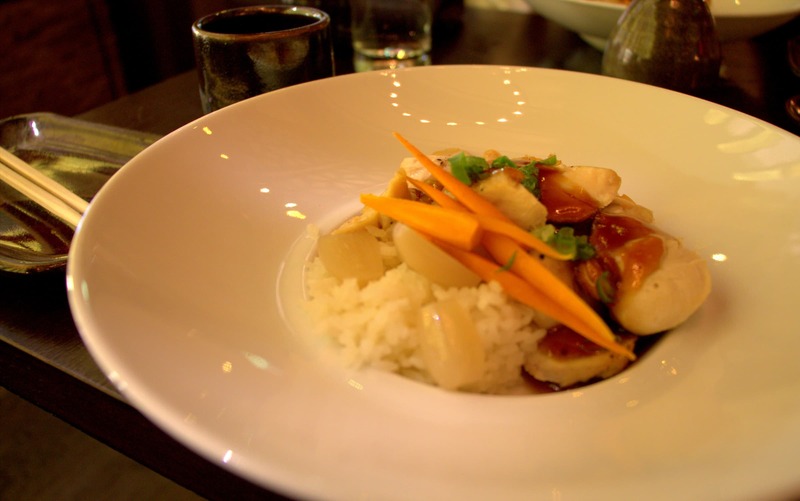 What restaurants will you be eating at during your next Las Vegas getaway?